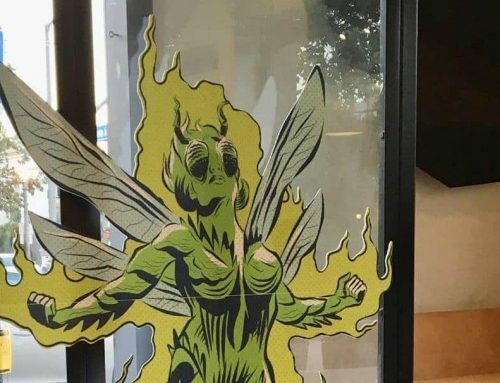 Here at Cardboard Cutout Standees, one of our favorite parts of our work is witnessing the remarkable creativity shown by the clients we work with. Given the wide range of options we offer for cutouts mixed with ideas from customers, we have seen quite the spectrum of creative uses for cardboard cutouts, from celebratory to eye-catching and persuasive. 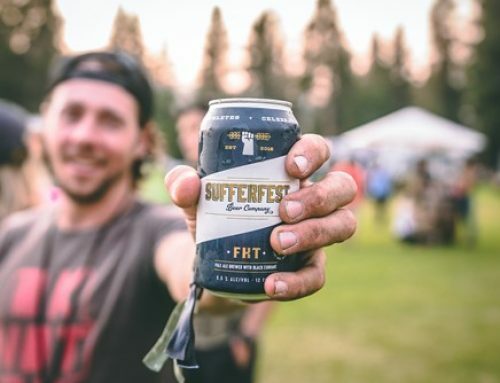 Sometimes a cardboard cutout can go far beyond its original purpose, and possibly even lead the way to a new brand and an active social media following. That’s just what happened with the folks at Pilgrim Title, a real estate title and closing service. 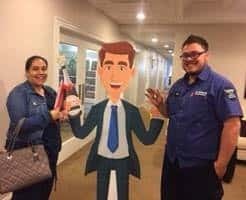 They managed to create not just a cardboard cutout, but a character that made their business more fun and relatable on social media, as well as built interest and intrigue in the business. Now their cutout has become an integral part of their business marketing strategy and has no plans of stopping! We wanted to know a bit more about how Pilgrim Title managed to create a fun and unique use for a cardboard cutout and ultimately turn it into something truly special. The marketing representative from Pilgrim Title, Dena Davis, kindly shared some of the story as well as offered advice for fellow business owners looking to spice up their social media with a little fun. So if you are looking for ways to do creative marketing that leads to results, you might want to start by meeting TOD. Here is TOD “on location” in front of Town Hall. What is the history of the character TOD? The concept and character “TOD” – which stands for Title On Demand, a service offered on our website – was created by myself and designer Jennifer Vinnitti of JLV Consulting. We wanted to come up with a social media campaign that was fun, interactive, and a little different. Since we work in the real estate industry, handling title and closing services, the challenge was making title insurance appealing on social media. The service is all about being user-friendly, efficient and accurate, so we created a character people could identify with while also injecting a sense of humor into our brand and campaign. It just seemed to stick and TOD continues to make us laugh! Our catchphrase is “TOD TALKS TITLE”. Why did you choose a cutout? Since TOD is part of a large campaign, it was important to us that he was memorable. We wanted a six-foot-tall TOD in our office so that we could take pictures of happy homeowners and their agents at the time of closing. Here is one of TOD’s weekend posts. What is TOD up to now? 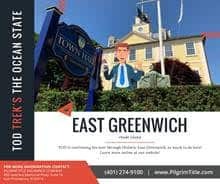 While TOD lives in our office, we have been taking him on the road to various towns in Rhode Island to highlight these great places to live. We work with many real estate agents who have expertise in specific areas, so we snapped pictures of TOD near landmarks in each town to use in all of our social media outlets. 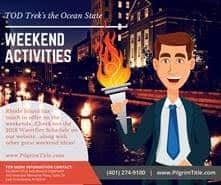 We also use TOD to highlight weekend events in Rhode Island, as shown below. What are your future plans for using your cardboard cutout? As TOD gains in popularity, we see endless opportunities. We can use TOD to educate people about our industry, attend some networking events, highlight excellence in our associates and maybe even do a little traveling! His presence really personalizes our services. Also, look out for the TOD Blog and the TOD Pod! We recently opened an office in Florida and we would love to see TOD soaking up some sun by the pool while bringing attention to some great real estate offerings in the Sunshine State. When it comes to future cardboard cutouts, we will see where our creativity takes us, but they are definitely an eye-catching way to draw attention to our services while building a new brand. What has the response been from customers and business partners? The response has been great; with the high-pressure, fast-moving nature of real estate, it is nice to have a little light relief while also providing a great service. Folks seem eager to see where he will pop up next! When we are out and about, TOD draws lots of interest, smiles, and questions. Two businesswomen in high heels walking with a 6-foot cardboard man in a suit definitely attracts a crowd! Luckily, TOD is classy and very likable. What will be YOUR Cardboard Cutout Story? 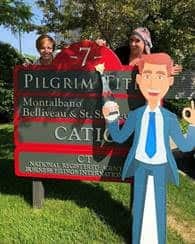 As you can see, in the case of Pilgrim Title and TOD, adding a cardboard cutout to their business and marketing strategy helped to connect them to their customers in a light and fun way. Creating a character based around a core element of a service allowed the social media followers to better connect with the company, as well as help people better understand its brand and services. While Pilgrim Title and TOD are certainly one of the more creative uses we’ve seen for our cutouts, they certainly aren’t the only ones. Whether you have a small business, plan events, host many gatherings, or otherwise do a lot of marketing in your day-to-day life, consider getting a cardboard cutout that can add flair and pizzazz. It may lead you in an unexpected direction. 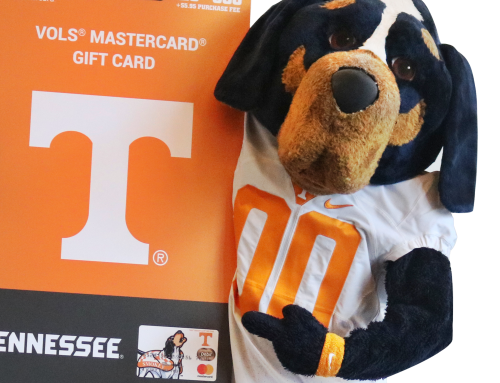 Cardboard cutouts are not just limited to life-sized people, either — although creating a life-sized cardboard cutout is a breeze with us — we can also help you create signs, banners, and other stand-up figures that are perfect for placing in-store, at special events, or in social media photos! So, the question now is — what will you create with a cardboard cutout? Let’s find out!